You can see the film via the BBC iPlayer here, or on YouTube here. It was made by Joost van der Valk and former Newsnight journalist Mags Gavan of RedRebel Films (bit of a clue in the name there, I think). The executive producer for the BBC end of things was Lucy Hetherington, partner of Newsnight’s Michael Crick and daughter of former Guardian editor Alastair Hetherington. In the comments Pounce points out that this timeslot on BBC 2 is usually occupied by a Top Gear repeat or Escape to the Country, raising suspicions that the film was dropped into the schedule to counter last night’s Dispatches about Muslim schools on Channel 4. There was so much wrong with “Geert Wilders: Europe’s Most Dangerous Man?” it’s difficult to know where to begin, but here are few highlights for starters. The title – not exactly subtle, but I suppose it is at least in keeping with the ham-fisted approach of the film itself. 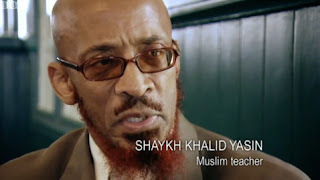 And here’s a video of Yasin talking about some unspecified policy paper relating to Muslims. Does this sound like someone who wants to de-radicalise young Muslims, as the BBC would have you believe? Yes, getting murdered tends to do that to your political ambitions. The film does go on to say he was assassinated, but what a bizarre way to begin describing his death. We are told, by way of introducing some of Wilders’ supporters in the States, that “America is the land of the conspiracy theory”. Oh really? How about Egypt where 43% think Israel was behind 9/11, or Saudi Arabia where a tagged migrating bird is viewed as an Israeli spy? The narrator describes America in this way because it serves to delegitimise the film’s targets. 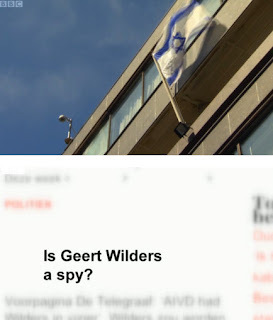 Later, portentous music plays over footage of the Israeli flag as the voice-over intones: “Looking up ‘Geert Wilders’ and ‘Israel’ on the internet, van der Valk finds over half a million references.” Yes, and looking up Mags Gavan blows a monkey returns more than 80,000 references, but it doesn’t prove a thing. This piece of lazy innuendo is followed by wild unfounded speculation over Wilders’ funds and motives. Is he in the pay of those evil Zionists, or could he in fact be an actual Israeli spy? At one point the narrator informs us that the Wilders film Fitna is propaganda. Talk about pots and kettles. I’ve barely touched on just how bad this documentary is (and please feel free to add further observations of your own), but one thing seems clear: if you’re a filmmaker with a leftist worldview and have friends at the BBC, our licence-funded state broadcaster is only too happy to find money and airtime for any old rubbish you produce. UPDATE. A further thought – the film had very little to say about Wilders’ trial and the chilling effect a guilty verdict could have on the freedom to criticise Islam.